Kingsley Ike is holds a Master’s degree in Engineering (Covering Civil Engineering, Oil and Gas Engineering, Water Resources and Environmental Engineering) and is currently at the final stages of Doctoral degree work in Business Administration (DBA) at the University of Liverpool. He possesses extensive work experience in both the upstream and downstream sectors of the Oil and Gas industry in addition to other top management engagements in various aspects of the energy industry. 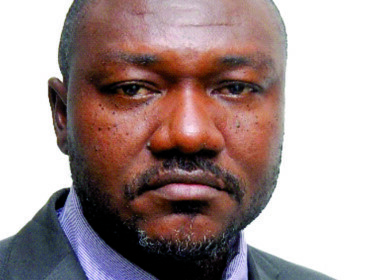 Some of the positions held in the past include; Area Terminal Coordinator – West Africa (Texaco – Covering Cameroon, Nigeria, Cote d’Ivoire, Congo, Togo, Benin), Area Logistics Manager – West Africa (Chevron – covering Cameroon, Nigeria, Cote d’Ivoire, Congo, Togo, Benin), Director of Operations (MRS – Covering MRS Oil and gas Ltd. Nig. and MRS Oil Nigeria Plc. Nig), Technical Director – Africa (NES Inc (MRS /HAE JV). Kingsley belongs to various professional bodies some of which include; Nigerian Society of Engineers (NSE), Society of Petroleum Engineers (SPE), Council for Regulation of Engineering in Nigeria (COREN), Nigeria Institution of Civil Engineers (NICE), Project Management Institute (PMI) amongst others. Currently resides in Cotonou with his wife and children and enjoys playing basketball and chess in addition to swimming and farming which gets him close to nature – whenever the opportunity emerges. MRS Benin distributes via its service stations, fuels for all types of vehicles Gasoline and Diesel. Our fuels are high queality and meet the standards and specifications in Benin. Besides petrol and diesel, MRS also markets JET A1, kerosene, fuel oil. MRS Benin has a solid experience in the bunkering ships. We also have a fleet of trucks capable of ensuring in record time delivery of large quantities of diesel. MRS BENIN distributes via its service stations a complete range of high quality lubricants and high reliability, the MRS brand. Designed and packaged in one of the best blending of Europe, branded MRS lubricants come in two categories, the FIRST reference for Gasoline and Diesel engines for STALLION. The range of engine lubricants is complemented by oils other automotive mechanisms (braking, power steering, manual and automatic gearboxes) without forgetting the fat for a variety of applications. MRS is also present in aviation sector in Benin. We operate from a depot located within the airport area. We have a fleet of trucks re-fuellers with the ability to deliver the jet to any aircraft in transit in Benin. Product Supply Source: Importation and Local Sourcing. Safety and Quality of Products and Services at MRS Service Stations. Existing Promotions and Campaigns at Mrs Service Stations. MRS Benin annually awards its best customers, offering discounts to its loyal consumers and companies on their purchases. MRS welcomes customers to a convenience store at our Service Stations. Our stations offer and urban mini market which offers guests a pleasant space with well-stocked shelves allowing customers to make purchases on site. 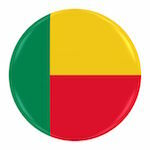 The goods and products sold are carefully selected and provided by major brands distribution in Benin. BENIN MRS also offers to any naturalized person wishing to run a service station, the possibility of signing a partnership agreement for a resort rental management service with attractive terms.